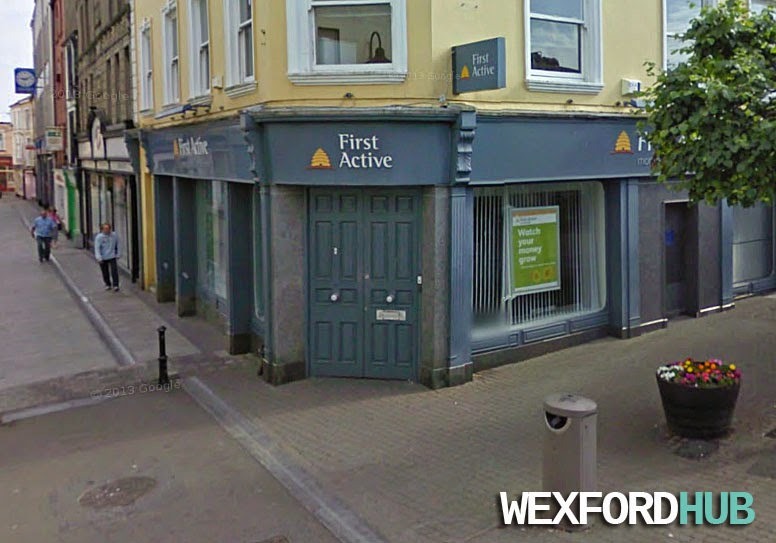 A photograph of the old First Active premises, which was situated on Wexford's North Main Street, on the corner with The Bullring. The bank was merged into Ulster Bank in 2009 and it officially ceased trading in 2010. Nowadays, the premises houses clothing store Fat Face.